We offer Gyro Sifter machine in India and other countries as well. 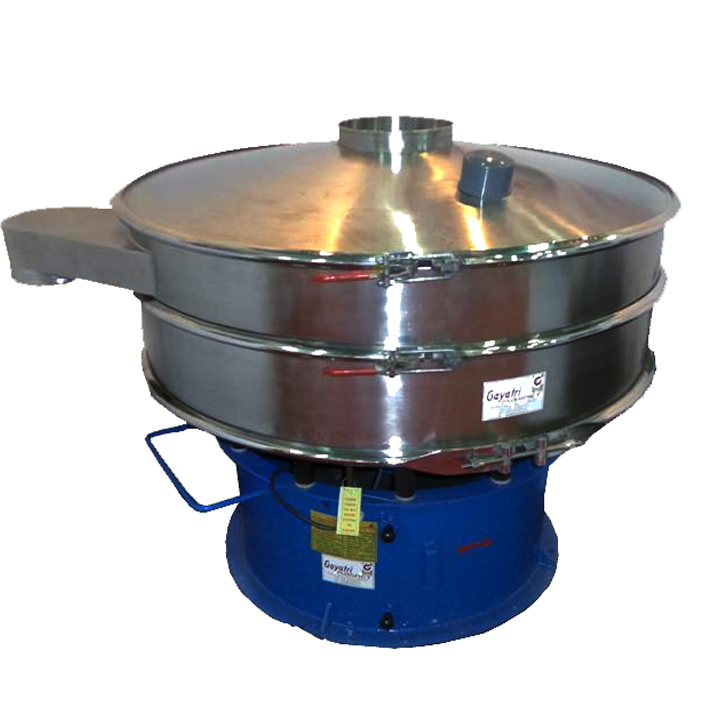 We are leading Gyro Sifter machine manufacturer, supplier and exporter in India. It is an efficient modular designed machine which provides vibrations on the screens. It can work for all type of screening applications. This unit is operated by vibrating motor with both end shafts. These machines are available in a varied number of decks and mesh as per different application. Output can be simply adjusted by unbalanced weight on motor shafts. To prevent rusting, the unit cover is available. All machine parts are replaceable and removable. Our Gyro sifters are fabricated in our established manufacturing plant using international product design. Our provided machine is manufactured by our skilled professionals by using high-grade components and the latest technology with market quality terms. These machines are specially made to work in any environment. This gyro sifter machines are appreciated by many clients for its efficient performance and it is available in many technical specifications. Additionally, our offered gyro sifter can be purchased by our clients at market leading price. Gyro Sifter is also known as Gyratory Screen is designed for highly efficient operation required in Sugar Particles, Grains, Pharma, Agriculture, Food and Grains. This machine is made for multiple vibratory motions. We offer this machine and contact parts in MS and SS material. Our developed machine provides tremendous advantaged such as compactness, low maintenance, and simple design. Besides the simplicity of the machine, many other features are also available such as heavy-duty application, low operating cost and long life, available at market leading price.